Look at this disgusting thing. 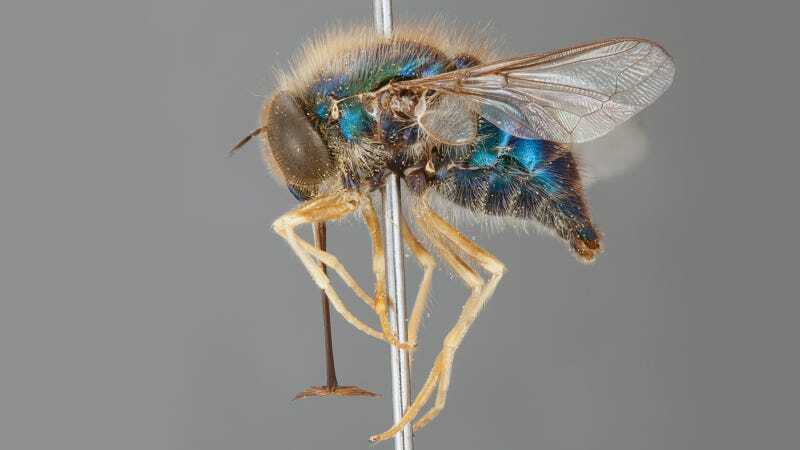 They just discovered this horrible flying thing along with other three other new species of Australsian spider flies. This is the first one that looks as horrible as this one, with its shiny blue jewel body and spider legs.